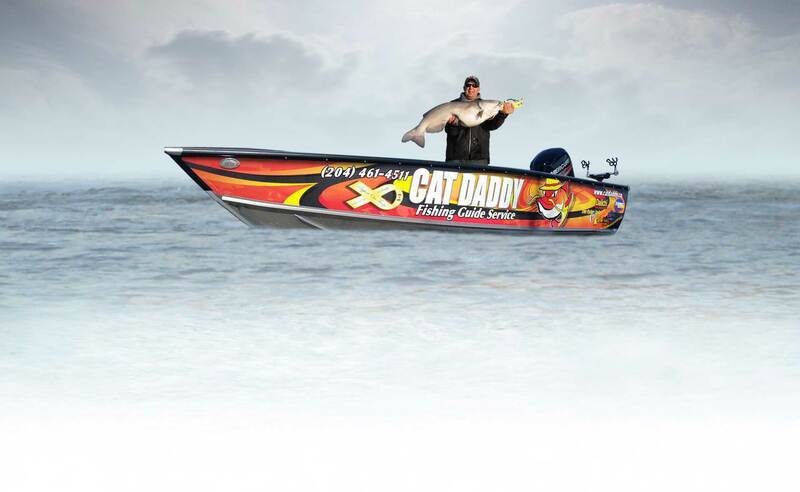 CatDaddy is a fully licensed fishing outfitter in Manitoba, Canada on the historic Red River - home of the best channel catfishing on the planet! Book your trip today! CatDaddy is a fully licensed fishing outfitter based in Selkirk, Manitoba Canada. We are located about 20 minutes northeast of Winnipeg, and are easily accessible to the world.Our specialty is catching world class trophy channel catfish on the historic Red River. The Red River is arguably the best channel catfish fishing on the planet!Our goal is to provide you with a trip to remember, full of big cats, good fun, and plenty of excitement. …I will offer you one free 8hr channel cat trip with me absolutely FREE!!!!!! The guarantee is going to take a little bit of honesty on your part. If you are talking excessively loud, doing back flips on the boat or can’t set a hook to save your life then don’t expect to catch fish no matter how good they are biting! I want to make sure everyone leaves happy and tells all of their friends and neighbours how sore your arms were from catching fish. Prices are in Canadian Dollars! We offer a great experience with great rates. Our pricing structure includes all tackle, bait, gas, and guiding services (but not fishing licenses). Family and Corporate packages available. We love fishing as much as you do, nothing makes the day better than you enjoying an awesome experience!